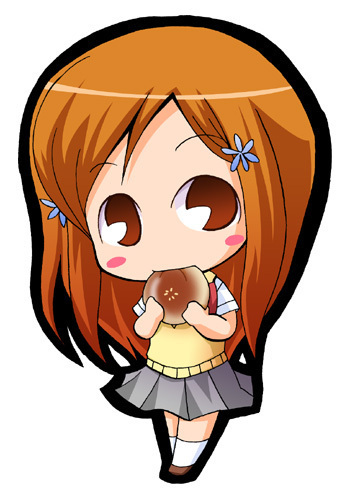 Inoue Orihime chibi. . Wallpaper and background images in the anime bleach club tagged: bleach orihime chibi inoue eating. It's cute Orihime.I like it!
. xo cute here ! i drew a copy of this picture and it turned out great! She looks so cute!